In this subject you will engage in conversations about the opportunities and challenges Māori face today, building on a strong understanding of the strengths of Māori leadership, strategic engagement and entrepreneurial thinking. This subject is offered in the Postgraduate Diploma in Business in Māori Development, as part of the Te Tohu Huanga Māori Business Development Programme. 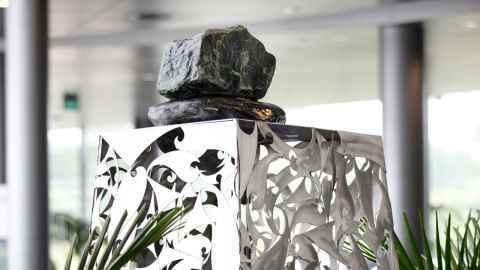 It is the University of Auckland Business School’s first dedicated Māori-focused study programme, and the first of its kind to be offered in Aotearoa. The programme provides leaders engaged in Māori business development with a range of traditional, current and future-orientated practical business and management skills. Māori economic development is about students thinking in Māori terms, from within a Māori worldview, its ethics and values framework, rather than replicating the worldview and values of the dominant society. Students bring their own practical experience and business issues to work on in the course. Whakananua tō Mātauranga ki te ihi o Tūpuna, hei hīringa mō te korito e toko ake ai te ao Māori. Infuse your knowledge with the wisdom and power of your ancestors to grow the tender shoots that build a Māori world. What will you gain from this programme?